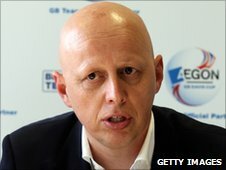 Steven Martens has resigned as player director of the Lawn Tennis Association to join the Royal Belgian Football Association as general secretary. The former Belgian Davis Cup captain was at the LTA for four years and took up the player role in 2008. An LTA statement said Martens had led a "significant change programme in the way performance tennis is structured and delivered across the country". There has been no announcement about the identity of his successor. LTA chief executive, Roger Draper, said: "Thanks to the work that Steven and the team have done over the past four years, we now have the structures in place to identify, deliver and support talent in this country. Steven leaves with the very best wishes of the LTA." Martens' role allowed him to oversee the men's and women's games, while also being asked to identify young talent. In an interview last month, he claimed the LTA had "raised the bar" for 2011, demanding higher standards from those who receive the top level of funding. He said: "The LTA invests in players and their programmes, including coaching and competitions, in order to give talented players the best chance to achieve their potential. "This year we have raised the bar in terms of the levels players must reach to be selected as we need to continually strive for higher standards. "We have improved the way we support our players with the performance network that is now in place, the Tournament Bonus Incentive scheme and enhanced prize money in the British tour. "All will make a significant difference to our elite players to earn their own support."